The Top Five in our Top 5 - More Children's Charities! This is it ~ The last in our series of posts about DAC’s Top 5 categories of giving for 2014! Canada’s kids already made it into the Top 5 once, but so many of our donors have children as their giving priority that we can happily list even more charities as top recipients for the year! Care for overall quality of life is reflected in our final Top 5 (charities reaching toward specific aspects of the well-being of children). As you can see, Canada’s car donors love to gift charities that do everything from grant wishes to stand up to bullies. The workers in these children’s charities take late-night phone calls, and travel around the globe to make sure that kids have a cup of fresh water. They educate, teaching children about human rights and respect. Donate a Car Canada is daily inspired, challenged, and thrilled to be part of the giving that benefits all of our charities. As mums (all of us here have our own little — and not-so-little — people), the needs of children – those that are ill, at risk, hurting, or just needing a little extra support for a short time – resonate deeply with us. We are mindfully grateful for the privilege of working with our vehicle donors to see these children’s charities benefited! Thank you for celebrating our charities and their works here. If the charity you love isn’t on one of our Top 5 lists, 2015 may be their year! 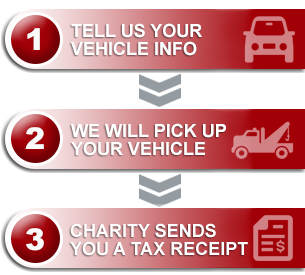 We will continue to work diligently to provide every opportunity for vehicle donations to benefit the causes that Canadians care about! Wishing you and yours health, goodness, and provision in the year ahead!